Tornado time in Europe? 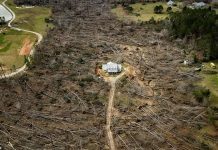 Unexpected tornadoes sweep across Istanbul (Turkey) and Rodez (France)... Regions where they usually not occur! On August 2 2014, it was tornado time in Europe. At least two tornadoes swept across France and Turkey in regions where they usually not occur! These rare and apocalyptic meteorological phenomena stunned and baffled the lucky witnesses in both countries. The tornado, which started as a waterspout, moved inland dealing damage to parts of the Golden Horn and Eminonu districts of the city. 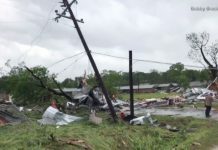 Meanwhile, other parts of the city that were spared by the tornado had to deal with flash flooding as a thunderstorms rolled through the city Saturday afternoon into Saturday night. You can look at apocalyptic pictures of this rare Istanbul’s tornado on Twitter. 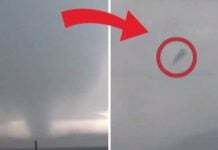 A mini tornado was caught on camera sweeping over Rodez, Aveyron. This photo features the chaotic weather conditions prevaling over this part of France during the week-end. Nice shot! 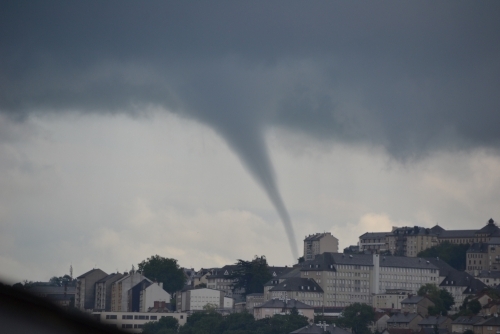 This tornado swept through Rodez, France on August 2 2014. Parallely, another rare twister hit Istanbul in Turkey! Unexpected! I love tornadoes… When then don’t hit deadly! What about you?